Loving daughter, wife, mother, sister and grandmother, LeAnn Albert passed from her earthly life surrounded by family on February 10, 2019, at the age of 49. She was born on July 19, 1969 in Centralia, Illinois to Ed and Jeanne Kleber. She was preceded in death by her father, Ed Kleber. 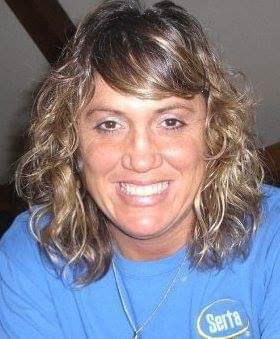 She is survived by her mother, Jeanne Kleber; her husband of 28 years, Jim Albert; two children, Trent Albert and wife, Chelsea and Trisha Albert; three grandchildren, Messiah, Madden and Monroe; two brothers, Scott Kleber and Ed “bug” Kleber and two sisters, Missy Volken and Danita Bohle and many loving family members. Memorials can be made to Seton Fund, 5th floor Seton Main in honor of LeAnn Albert. Family will receive friends from 11 am to 2:00 pm, Saturday, February 16, 2019 at Eeds Funeral Home, with a memorial service following at 2:00 pm.